“What do you write?” People would ask. I’m guilty. I was ashamed to admit that I wrote romance. Many of my author friends are angry and revolted as they read this. Because romance writing isn’t anything to be embarrassed about. Is it what I “dreamed” of writing? Nope. But it IS what I’ve been able to market to publishers, and where most of my readers come from. This is the year I embrace that identity. With one caveat, of course. I’m not even sure I had a brand before this. Check out the things I used for continuity across every social media platform. If you saw those things, what would you guess I wrote? What? It doesn’t scream any genre at you? That would be because I wrote so many genres I feared embracing anything that might look distinctively romance or fantasy or nonfiction or Christian. Is it any wonder I haven’t been able to build an audience? No one can figure out what it is I’m selling here. But what does that really mean? What does that LOOK like in logos and colors and fonts? I am a person who loves to read many genres and has too many ideas to contain in a single writing category. So do I brand multiple personalities? How? I knew the answer to this. So I took some time considering it more deeply. I want my readers to feel understood and hopeful and encouraged. I want them to be empowered to chase (and capture) their own dreams. Yes, I want to offer them escape, but more than that I wanted them to see themselves between the pages and know they are not alone. Someone relates to how they’re feeling and what their lives are throwing at them right now. Then I outlined all of that and shipped it off to a designer. Perry Elisabeth is a freelancer I met through a Facebook Group. I’d been admiring her cover designs for months and I’d succumbed to the magnetism of her WriteMind Planner. And this is what she came up with. There was a transformation here, right? I can build a platform with this distinctive symbol. Based on that, what genre would you guess I wrote? And if you say “romance” or “women’s fiction” I won’t cringe. Because in 2018 I’m going to publish three (or more) Christian romances with women’s fiction themes and motifs. What do you think of the new look? What/how does it make you feel? I hope you haven’t been holding your breath for a week waiting for the second part of Kristen’s post on finding the perfect editor for your book. Waiting with bated breath is good. Holding your breath for a week? Not so much. Now here’s Kristen with the rest of the questions that will help you in your editor search. Last week I shared four of seven questions every author must ask to find the perfect editor for your manuscript. The first four questions are easy, focusing on narrowing your search to editors who offer the type of editing you need, who specialize in your genre, who have experience, and who have a portfolio and testimonials for you to look over. Now, we’re getting into the serious stuff. By the end of this, you’ll have found the editor that’s right for you. 5. What is the editor’s attitude? Real talk: There are too many editors to settle for one that doesn’t contribute to a healthy author-editor relationship. When you make first contact with an editor, pay attention to how they communicate. Do they have time to talk to you on the phone about your project? Is conversation with them easy, and do you see eye-to-eye with your plans for the book? When you ask about their experience, are they open and communicative? Do they seem excited about your project? The author-editor relationship is famously collaborative, meaning if you don’t feel your editor is onboard 100%, move on to the next option. Your manuscript is understandably an important project—and usually a major part of your life. It deserves the respect of an engaged, enthusiastic editor. 6. Does the editor offer sample edits? Did the editor’s sample edit make a difference in your novel’s excerpt? Do you feel that the edited material reads better than the original? Pay attention to the editor’s stylistic choices, such as using em dashes (—), semicolons (;), and italics. Do you like their style? Do you feel like it’s right for your book? The best editor will be able to match your writing style, so all editing changes will be seamless to your original writing. The final result will be a beautifully polished book, highlighting your skills as an author. 7. What about contracts and pricing? Before making the final decision, pay attention to two more important elements: if the editor offers a contract or written agreement, and if the price is reasonable. As a book editor, I require a contract with every project, which provides the details of any editing project in writing, including the payments, editing services provided, and a confidentiality agreement. At the very least, protect yourself and ask the editor to provide a written agreement prior to you submitting payment or your manuscript. Finally, the old adage “you get what you pay for” is true when it comes to selecting a book editor. The Editorial Freelancer’s Association’s Editorial Rates Chart is the gold standard for how much editing should cost, so make sure your editor falls in the ballpark. Generally, more experienced editors will charge more, while less experienced editors will charge less. You get what you pay for. BONUS: Editing company or freelance editor? Your search may turn up freelance editors, or editing companies—big difference between the two. Editing companies can have five or more editors on staff, several of whom will be working on your manuscript. Although multiple eyes on a document can be a good thing, conflicting editing styles and an inability to communicate freely with your editor may turn some authors off. When you hire an editor, you’re paying them thousands of dollars and giving them the power to improve or destroy your work. Choose wisely! What are your personal experiences in working with editors? What advice can you offer readers? What to Write in November? Help! November is nearly here. 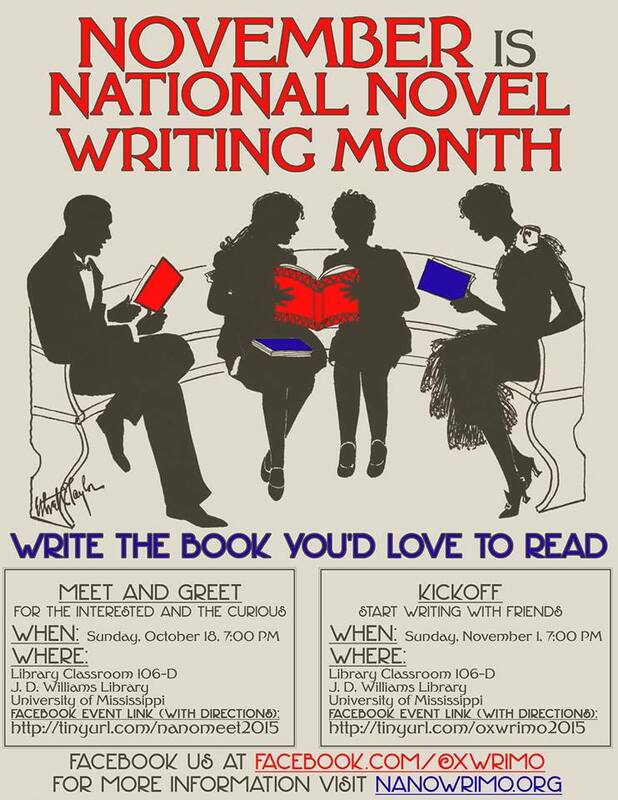 That means National Novel Writing Month for all you non-writerly types. In other words, insane writing for thirty days. And I still don’t know what to write. Today, I’m asking for your advice. I need your input on how to spend my 50,000 words (or more) in November. It’s not like I don’t have any ideas. Ideas flood my mind at every odd moment day or night. In fact, I have four ideas that all hold equal appeal to me. Mostly for different reasons. All great ideas, right? That doesn’t help me narrow it down to one. I can only write one during NaNoWriMo. A young attorney struggles to defend a guilty client. She’s fallen so far from the faith of her childhood, but this feels like an assault on her ideology of justice. In a freak hiking accident, she’s transported through time to first century Jerusalem, where she comes face-to-face with the Christ she left behind. Upon returning to conciousness, she quits her job and gives up all her fancy goodies. When she walks into a private law office hoping to find somewhere to utilize her degrees and skills, she meets a man who was in her “dream” about Jerusalem. Why was he there? Is she imagining things? Was the encounter real? She is on the path to facing down the ugly truth about herself because it’s the only way she can move forward in freedom. This story crosses many genre lines so I’m not sure how marketable it would be. But it has many solid messages that I enjoy writing about in my fiction. Also, it works in my new commitment to write women’s fiction. I’ve written two short stories set on Earth that are published with Roane Publishing. Click through to get the newest one for free. But when I wrote the first novel, I did a lot of backstory. I realized there was easily a novel that should happen in the elven realm (Evendon). Holt is taken hostage by a magical artifact collector and forced to lead the man and his mercenaries into his home realm. He slyly leads them to his sister’s neck of the woods, where she puts the three outsiders into an enchanted sleep. Alyona returns to Earth to fetch her human boyfriend who specializes in finding and neutralizing magical objects. He goes into Evendon with her to help stop the bad guy. Of course, he’s one-quarter elf and has an innate magic, that begins to surge through him once he’s in the magical realm. There he will reunite with his elven grandmother and face the truth about his heritage. And he’ll need to learn to control his magic if he’s going to stop the bad guy from retrieving an artifact that will help him access the dragon realm and a magical power that would breech the borders between the four realms forever. I’m not supposed to be writing fantasy. I’ve decided to put fantasy on the back burner. But this story begs to be told. And I already have two published stories that would tie into it so I could create a sales funnel. This is the other idea that works with my new writing direction. Although it isn’t women’s fiction, it springboards off of the novel I’ve written. The youngest narrator from my novel, Mercedes Glen, makes a life-altering decision to move to a different state to pursue a relationship with the man she loves. Her parents are opposed so her father cuts off her health insurance. One of the part-time jobs she takes on brings all her insecurities about her ability to counsel teenagers to the forefront. Her boyfriend’s Greek Orthodox parents aren’t in favor of him marrying outside the faith, even though he is a member and minister of a non-denominational Christian church already. Lots of conflict. Some sweet romance. And I love this character and I’m already familiar with her voice, plus I have the character study completed. This would be the easiest project to write. I wrote a novella that was published in a collection with seven other romance authors. It’s off the market now and I’m subbing it to Roane for a sweet romance call they have open. I have begun the second (much requested by readers of the first) installment of Marcus and Ronnie’s romance story. It would be another novella I might submit to my small publisher. I have a vague idea for a third installment. I could then put these up and have another series sales funnel to direct readers to my writing. Even if Roane doesn’t pick up the first one, I could offer it for free as an independently published title to funnel into the other books in the series that I could release within a few weeks of each other. This is the idea that seems the smartest marketing-wise. But I despise marketing. I just want to write stories. So, which idea do you think I should pursue in November? It’s nearly here. Cast your vote in the poll.